Born the eldest son of Archibald Alexander near Gordonsville, Virginia, in 1804, James was in a household filled with theological giants of the faith. His father was the president of the Presbyterian Hampden-Sydney College at that time. But when schooling began for the son, his father had taken the pulpit of the Third Presbyterian Church in Philadelphia, Pennsylvania in 1807. In 1812, the new seminary called Princeton began in New Jersey, and the family of the Alexanders moved there, so Archibald Alexander could become the first professor of that new divinity school. Young James graduated from the College of New Jersey in 1820. And while he studied theology at Princeton Seminary from 1822 – 1824, he would not be ordained by the historic Hanover Presbytery until 1827, having first served about three years as a tutor. (This seems to have been a common practice in the 19th-century, where men would first serve as a tutor for several years before seeking ordination.). He began his pastoral ministry as stated supply of the Presbyterian church in Charlotte Court House, Virginia for a year, and was then pastor of that church for another year. The rest of his life and ministry had him in the college and seminary field of teaching at Princeton Seminary, interspersed with pastoral ministry in Trenton, New Jersey and New York City Presbyterian churches. He was involved in some of the biggest seasons of revival and reformation during those middle decades of the eighteen hundreds. The New York City prayer revival took place in his church in 1857, which then spread through the noon prayer meetings among many denominations and around the country. In the midst of his ministry, the Old School New School division took place in the denomination. Through it all, James Alexander proclaimed Christ to the masses. One of the highlights of his ministry was his hymn writing and translations. The most famous translation was the familiar words to “O Sacred Head, Now Wounded.” His translation from 1830 from Bernard of Clairvaux in the eleventh century, is the version most used by our churches today. Words to Live By: As we contemplate that last comment of James Alexander on his death-bed, who among believers could not echo these words and thoughts? We have no right from ourselves to gain heaven. It is only through Christ’s love and forgiveness that we have been given the key to heaven’s door. Christ Jesus is the object of our faith, and the only object. Let that be your assurance both here, and hereafter. WLC 136 — “What are the sins forbidden in the sixth commandment? WSC 69 — “What is forbidden in the sixth commandment? 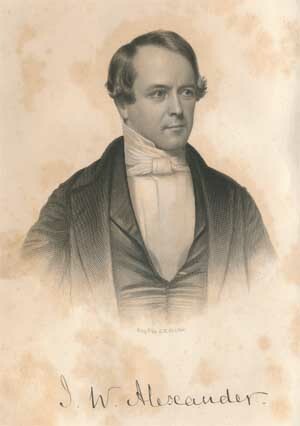 Image source : Frontispiece portrait in Forty Years’ Familiar Letters of James W. Alexander, D.D. New York: Charles Scribner & Co., 1870. The teenager had gathered that Sunday, July 30, 1967 with some friends and sisters to swim in the Chesapeake Bay waters. Diving into the bay seemed like a safe thing to do, but Joni Erickson was not aware of the shallowness of that water. As she struggled to rise to the surface, her sister had to assist her because she had no feeling in her arms. Indeed, after an emergency vehicle had taken her to the emergency room was it discovered that she had broken her neck. She was paralyzed from the shoulders down. Understandably, she went through a horror of emotions in the first two years. The “why” answers were not being given by God or anyone else. She immersed herself in the Bible and there in that inspired book found both the strength to continue on and a purpose to continue living. With her loving husband, Ken Tada by her side, whom she married in 1982, they began a ministry for the disabled called Joni and Friends. It is a world-wide organization which seeks to minister to those disabled to conquer life’s challenges, and especially to find the love of God through Christ. Joni has had an autobiography in her book (“Joni”) , then in movie form, several musical albums, books galore, etchings — all to show that disabled people can have a ministry in the church and in the world. And as a member of the Presbyterian Church in America, she has had extraordinary opportunities to share her saving faith in all sorts of forums. Words to Live By: Jesus, in one of the dinners he had been invited to while on earth, gave some instructions to his host. He, in Luke 14, told him “to invite the poor, the disabled, the lame, and the blind.” (v. 13) We have a ministry to these ones who are in desperate need of acceptance by the believers of today. Let’s plan on ways we can minister in word and deed to these ones, especially the disabled in our churches and neighborhoods. What can you do to show them hospitality? WLC 134 & WSC 67 — “What is the sixth commandment? WLC 135 — “What are the duties required in the sixth commandment? WSC 68 — “What is required in the sixth commandment? It is unheard of in our times, but back in the early part of our nation’s history, when a man was ordained to the gospel ministry, a day of fasting and humiliation took place on account of his calling as a minister of the gospel. Such was the case with William Hollingshead. 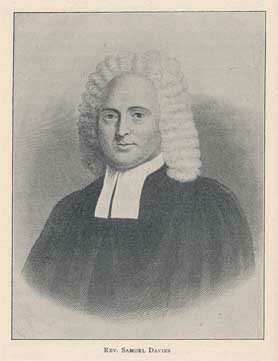 Born in Philadelphia in 1748, William Hollingshead joined the communion of the church in his young years. Attending the University of Pennsylvania, he began preparation for the ministry. Licensed in 1772, he was ordained to the gospel ministry on July 29, 1773. It was said that a day of fasting and humiliation accompanied that solemn ordination. Having been called by the Fairfield Presbyterian Church in New Jersey, Rev. Hollingshead began his ministry in difficult times. Not only was there a need for a new church building, but there was the national need for a new nation. This was the time period of the American Revolution. A log cabin had been the site of the original church. Then a frame building had been in use since 1717. Now replacing them both was a stone building, which was finally completed in 1780. They had met under an oak tree for six years in the New England Towne Cemetery, near the site of the old church building. What rejoicing there must have been when on September 7, 1780, they were able to move into the new structure of the church. This whole time had also been the time of conflict during the War for Independence from England. Even Rev. Hollingshead had been given leave to become a chaplain for the Continental Army. Many members of the church had given their lives and limbs for the struggle for liberty. The cemetery gives mute evidence to that fact. Fairfield Presbyterian Church today is the oldest church in the Presbyterian Church in America, dating from 1680. Words to Live By: There is something very solemn about a day of fasting and humiliation when a minister is set apart for the gospel ministry. It encourages the entire congregation and Presbytery to treat the occasion in an attitude of prayer. It sanctifies the whole process in a holy manner. Let this be an apt suggestion to the Session of Elders when a new pastor is called to your congregation. During the course of this historic Presbyterian blog, there have been seven references to the life and times of J. Gresham Machen. This is no surprise, because he was God’s choice to lead His true church in tumultuous days of the early twentieth century. This event recognized today begins the whole story on July 28, 1881, J. Gresham Machen was born in Baltimore, Maryland. On both sides of his family, there was a firm commitment to the Calvinistic truths of the Westminster Standards. His grandfather, on his father’s side, was a ruling elder of Old School Presbyterianism. His father, Arthur Machen, was a well-known attorney, and member of the Presbyterian church. Marrying Mary Gresham in 1872, a home was divinely ordered together. 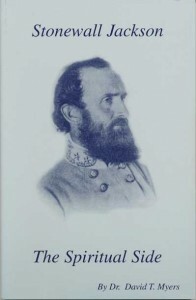 His mother came from the southern Presbyterian tradition resident in Macon, Georgia. 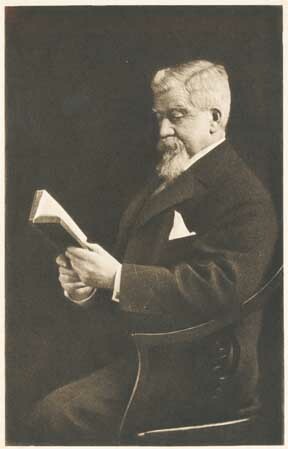 While we do not know much of her early life, after her marriage to Machen’s father, she exhibited an influence upon young J. Gresham Machen’s life which could not be rivaled. The whole family was influential members of the Presbyterian Church in Baltimore. Machen’s father served as an elder for many years. When J. Gresham Machen was born, and here we simply quote Ned Stonehouse’s book on J. Gresham Machen, “he entered a home of devout Christian faith, of a high level of culture and social standing, and of a considerable degree of prosperity. Both parents were persons of strong character and extraordinary intellectual and spiritual endowments, and our understanding of J. Gresham Machen is illumined as we observe how various qualities and interests of his ancestors were blended in generous portions in his own personality. . . the intense affection and loyalty that distinguished the Machen home were to prove one of the most influential and fascinating factors in shaping the course of things to come.” (p. 39, J. Gresham Machen, by Ned Stonehouse, Eerdmans) Some of the “things to come” are treated on January 1, March 13, 17, 29, April 1, 11, and May 14 of this historical blog. Words to Live By: Certainly God’s sovereign grace can change an individual’s life for the better, but also God’s grace can use the faithful upbringing of a Christian family into even greater outreach of service. And the latter was evidenced in the home religion of Dr. J. Gresham Machen. We simply cannot stress too much the vital principles and practices of a godly home on a child’s life and life work. Parents! Labor hard in prayer and perseverance to make your home a godly one, leading by example and exhortation the faith of your children in the things of the Lord. To read more of Dr. Machen’s reflections on his own parents and their home, click here. WLC 133 — “What is the reason annexed to the fifth commandment, the more to enforce it? WSC 66 — “What is the reason annexed to the fifth commandment? Image source : Frontispiece portrait, Stories and Articles by Arthur W. Machen. Collected by Arthur W. Machen, Jr. Baltimore: Privately printed, 1917. Volume 1. It is hard to believe that at one time in this country, Arkansas was considered to be mission territory. But that was exactly the way that it was, when James Wilson Moore was appointed after his studies at Princeton Theological Seminary to go there as a Presbyterian missionary. It was still not a state, but a territory. Moore, who had been born in 1797, was sent there by the Presbyterian Board of Home Missions, to develop the church in that territory. In the whole town of Little Rock, with a population of 150 people, there were only three whites and three blacks professing Christ as Savior. In 1830, Moore returned to New Jersey so he could marry his wife, Elizabeth Green. Soon afterwards, he organized the Arkansas Presbytery, and was the only commissioner of it back at the General Assembly in 1846. Moving thirty miles west of Little Rock, Arkansas in 1840, he established a church in Sylvania as well as a school for boys. He taught at the latter educational facility for the next 30 years. He died in 1873, having successfully by God’s grace brought Arkansas the gospel and the Presbyterian church to worship and serve God. Words to Live By: Home missions has as much of a call to it as does Foreign Missions. After all, the disciples just before the ascension of our Lord Jesus into heaven, were told to be witnesses of His life, death, burial, and ascension, first in Jerusalem, then Judea, next Samaria, and finally to the whole earth. Your Jerusalem is where God has placed you right now. It is there that we need the filling of the Spirit upon us to go and witness of Jesus. Think again of your witness by your life and lips in this first place. Until you have been faithful here, you cannot be an effective witness in your county, state, region of the United States, the whole country, and finally the world. Serve God where you are first! WSC 65 — “What is forbidden in the fifth commandment? 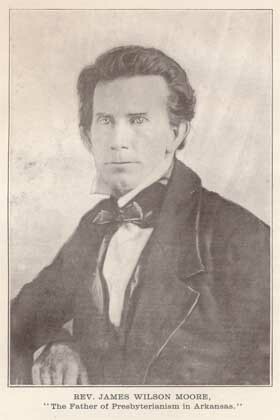 Image source : Frontispiece portrait in The History of Presbyterianism in Arkansas, 1828-1902. 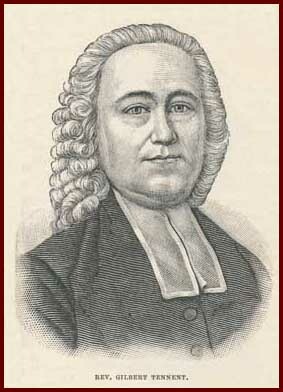 We cannot say enough about Samuel Davies, the apostle to Virginia in the colony of Virginia since 1747. Establishing preaching points with permission from the Anglican governor, Davies had preached with boldness God’s salvation through Christ alone to the people around each of these points. Often, he had to take journeys of five hundred miles on horseback to minister to his many parishioners. By 1755, churches had been established for a Hanover Presbytery to be organized. This was the first Presbytery outside the northeast part of the colonies. It was under the oversight of the New Side Presbyterians of New York! In 1758, the third president of the College of New Jersey, Jonathan Edwards, died from smallpox. The trustees asked Samuel Davies to assume his office. The minister was not unknown by the college, since he had raised funds for it earlier in England. But Davies refused the offer, citing his open door for effective service in Virginia. They offered him the position a second, and third, and fourth time. Finally, he yielded to the request, and in July 26, 1759, Samuel Davies was inaugurated as President of the College of New Jersey. He was described by one trustee as a man, upon whom the Spirit of God had given uncommon gifts. Words to Live By: God makes no mistakes. The Spirit of God led him to Virginia, to enter the open door of evangelism and church planting which was necessary for that future state. (The site of his congregation, north of Richmond, Virginia, burned during one of the battles of the War Between the States, and is now marked as a historical spot.) Then God led him to the College of New Jersey. Historic Biblical Presbyterianism was established in the hearts and minds of many Virginia’s spiritual sons and daughters, as well in the students of the College. Pray for your faith, that it may be established in hearts and minds today, starting with yourself, your family, your neighbors, your work associates, and your church. WLC 132 — “What are the sins of equals? Samuel Davies was known as the apostle to Virginia, so effective was he in being the instrument to call a people out of darkness into light. Beyond the evangelistic emphasis of his ministry there, he also often had to challenge his people to stand up and defend themselves against the Indians of that area. This was especially needful as countless settlers were withdrawing to safer areas of the colonies, thus reducing the number of parishioners of the Presbyterian churches in the area. “Let me earnestly recommend to you to furnish yourselves with arms and put yourselves in a position of defense. What is that religion good for that leaves men cowards on the appearance of danger? “I am particularly solicitous of you that you should act with honor and spirit in this, as it becomes loyal subjects, lovers of your country, and courageous Christians. I am determined to not leave my country while there is any prospect of defending it. Certainly he does not deserve a place in any country who is ready to run from it upon every appearance of danger. A voluntary company of riflemen was immediately formed as a result of this sermon by Samuel Davies. In fact, during the progress of what later on became known as the French and Indian War, the war sermons of Samuel Davies persuaded more men to enter the field of battle as soldiers than any other means used. Words to Live By: Samuel Davies was resolute about this issue. His point was that the church of the Lord was being devastated by this danger, as more and more colonists returned closer to the safety of larger towns in the east. Stand up and defend your home, your church, and your country, was his watchword. There is a sacred right to defend oneself and the country to which you belong. Let there be careful study that the cause is just, according to the Scripture. Then with that basis, stand strong in the Lord. WLC 131 — “What are the duties of equals? The Christian, having received a diagnosis of a disease in the hospital, replied to her pastor that she was not afraid of death, but was afraid of dying. I believe that all of us Christians could echo her words. Finding no Presbyterian event on this day of July 24, we turn to the benefits of our effectual calling, in question and answer 37 of the Shorter Catechism, which deals with the benefits we believers receive from Christ at death. It states, “The souls of believers are at their death made perfect in holiness, and do immediately pass into glory; and their bodies, being still united to Christ, do rest in their graves, til the resurrection.” You see the immediate division between the soul and the body in this catechetical answer. With respect to the Christian’s soul, there is no intermediate state between earth and heaven. Paul clearly taught this when he spoke of his desire in his second letter to the Corinthians, chapter 5, where he said in verse 8 “Yes, we are of good courage, and we would rather be away from the body and at home with the Lord.” (ESV) Earlier, in verse 6, he spoke of being at home in the body and away from the Lord. There are two certain states for believers. Either they are alive on this earth or they are alive in heaven. There is no soul-sleep as some of the cults believe. It is here, or it is hereafter. Immediately after death, we are made perfect in holiness and immediately pass into the glories of heaven. No Christian should be afraid of death, either for ourselves or our loved ones in Christ. We may be afraid for the process, but even there the Psalmist promised us His presence when we walk through the valley of the shadow of death (See Psalm 23). Words to Live By: The saints of God should not fear death. It is coming sooner or later for all believers. “So then, as we have divine opportunities, let us do good to everyone, and especially to those who are of the household of faith.” (ESV – Galatians 6:10) Let its certainty be a impetus to serve Christ faithfully now, in our families, at our work, and out into the world. WLC 130 — “What are the sins of superiors? 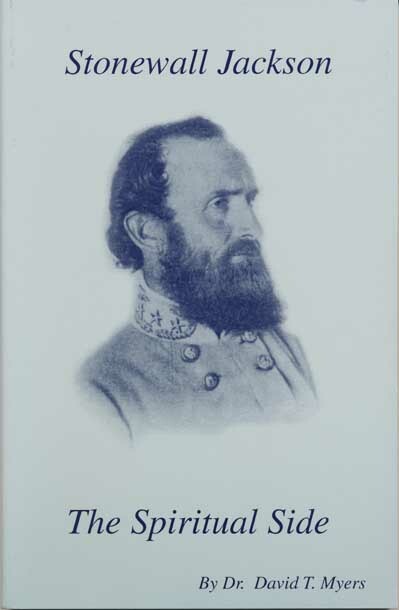 Countless Americans applaud General Thomas Jonathan “Stonewall” Jackson’s abilities on the battlefield in America’s Civil War, or War Between the States. But many of those same Americans ridicule the spiritual side of this much admired military man. In the above letter, and I have underlined the important phrase, you read the words “necessity and mercy.” Any one who knows the sixtieth answer in the Shorter Catechism of the Westminster Standards will remember that “necessity and mercy” were two divine exceptions in the observance of the fourth commandment, given by Jesus Himself. But, it may be asked, did Gen. Jackson know of these two exceptions in the catechism? The answer is in the affirmative, because he had memorized the Shorter Catechism in his pre-war days in Lexington, Virginia with his wife, and he was a deacon in the Presbyterian Church of that city, which office required his acceptance of the Westminster Standards. So under no circumstances did the military officer violate the spiritual standards of his convictions and religion. Necessity and mercy dictated his military moves on that day, the Lord’s Day, or the Sabbath. Words to Live By: The world is always ready to condemn the actions of true Christians, if only to get the attention off of themselves and their sinful ways. We must be sure to have solid biblical evidence to back everything we say and do, so as to not place a stumbling block before unbelievers. WLC 129 — “What is required of superiors towards their inferiors? Born in what is today Northern Ireland, or Ulster, in 1703, Gilbert Tennent, the oldest son of William Tennent, was the first of five sons of the Tennent family to train for, and minister in, the Presbyterian Church in America. Emigrating to the colonies in 1717 to Pennsylvania, he studied under his father William, the elements of Scriptural languages and theology. His training must have been the equivalent of a bachelor of arts degree, because when he entered Yale College, he completed a masters of arts degree. He then helped his father build the Log College, as it was derisively known, which was the forerunner of the College of New Jersey, which turned into Princeton Seminary and University. Licensed and ordained in the Presbyterian church, Gilbert Tennent, after a brief ministry in Newcastle, Delaware, moved in 1726 to New Brunswick Presbyterian Church, in New Jersey. It was there that he came into contact with a Dutch Reformed pastor, Theodorus Frelinghausen, who regularly preached revivalist messages to his congregation and surrounding congregations. Tennent, whose ministry up to this point, was failing as far as converts were concerned, and deathly ill on top of it, made a pact with God. Promising to press for the souls of his people, he asked God to give him another six months of life. God gave him that, and more. He began to preach evangelistically to his own people. Gilbert Tennent’s third congregation was at the Second Presbyterian Church in Philadelphia, in 1743. This congregation was a New Side Presbyterian congregation, formed exclusively of converts to the Whitefield’s strong preaching. He pastored that church until his death on July 22, 1764. Gilbert Tennent had a decided care and concern for the purity of Christ’s church. Words to Live By: Despite an unwise harsh message at an earlier point in his ministry which brought a schism in the church at large, his later ministry at Second Presbyterian Church in Philadelphia was in the midst of a turn-around, or repentant spirit in him. We may not want to copy his methods to bring revival to God’s people and repentance to the lost, but the purity of Christ’s church is still an important care and concern for all ministers and members of His church. WLC 128 — “What are the sins of inferiors against their superiors?